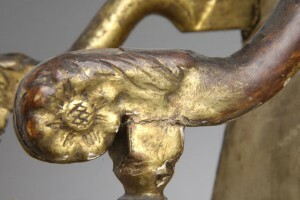 The aim of this new website is to have a user-friendly site available to disseminate news and information not only about François Linke and his work and but also as a conduit for consultation with Christopher Payne on any aspect of furniture research or authentication, regardless of date or region, metropolitan or vernacular. I will update the site from time to time and add information gathered from auction houses, collectors, dealers or academics. To this I will add new finds from the Linke Archive and occasionally publish unseen photographs from the Linke Archive, of which only a few could be reproduced in François Linke 1855-1946 The Belle Epoque of French Furniture. This private archive consists of over 2,000 glass negatives commissioned by Linke and hundreds of watercolour proposals for his furniture. My personal interest in Linke and his prodigious output will probably never be satisfied and the archive material will need constant updating and research. Much of the information is far too detailed for the general reader, or even the furniture historian. In many cases the archive can provide highly specific, almost intimate information about the making of an item. The year, often the day of the week is recorded, each workman and the number of hours he took dutifully noted in the daybooks. The costs of material, the type of gilding, even the cost and date of the engraved “Linke” signature is noted in many cases, especially in the Linke post 1901 journals or registres. As curator of the Linke Archive I will be happy to make specific searches for private individuals, institutions or the trade and provide written information on items of furniture. For more information please visit my ‘Consultation’ page. 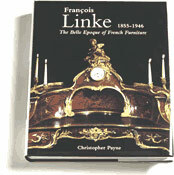 François Linke (1855-1946) The Belle Epoque of French Furniture. Linke is arguably the leading cabinetmaker of the Belle Epoque, the glittering age of fashionable French society, whose influence was felt throughout the world. Christopher Payne’s book features over 700 superb photographs, drawn from private archives and Linke’s own family – all of which are previously unpublished. Published: October 2003 ISBN: 1 85149 440 5 – Price: £75.00. Now out of print.